Welcome to the 2nd blog in my Upper Extremity Category of my website in which the story picks up in the Fall of the year 2013. For new readers please see this link to my last blog of this category to get my history up till this point of writing. This blog will complete the history and diagnosis for my left elbow and wrist and present the surgical work up. October 2013 – I was enjoying life the best I could while being on a knee scooter trying to heal a Talus fracture in my left ankle. During a two week period of time, the knee scooter acted like a bucking bronco that I came off of twice. Once along a sidewalk of a commercial building, I landed on my left side in the shrubs. Earlier on that same day, I was going down a set of 2 steps and fell backwards on my left side and hit my arm while using the crutches. Then the next week while in my bedroom, the knee scooter just jammed in the front end and the momentum sent me down hitting the base of my left thumb on the frame of the scooter. Here is the prior medical blog story pertaining to my leg/foot/ankle going on at that time. Shortly after those accidents, I had gone to my sports doctor because of soreness and a sharp pain around the tip of my elbow that I had never experienced beforehand. My elbow was extending open farther than it ever had and I was advised to take it easy and be careful not to extend the elbow. I did pay attention to avoid the sharp pain of over extension. However, I had to continue to use my arm as I was on crutches till after my first HyProCure Surgery in November 2013. Then I had my 2nd right foot HyProCure surgery in February 2014 and in March 2014 the 2nd of my Proximal Tibiofibular Joint Surgeries. With the continued use of crutches throughout the post op experiences of all those surgeries, my left forearm continued to have more days of aching. While in the care of my orthopedic surgeon regarding my leg, he gave me an Exos Brace for my wrist/forearm then ordered a left elbow MRI with contrast. Keeping my left wrist braced seemed to help the pain in my forearm. May/June 2014 – I had the MRI and it was completely negative in all categories. 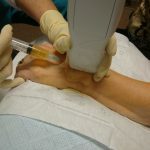 I proceeded to have one Platelet Rich Plasma (PRP) injection below my lateral epicondyle at the source of my pain in the tendons. By this time I didn’t have pain at the elbow joint from the original hyperextension injury, only below the lateral epicondyle which now I know is more closer to the radial tunnel area. Because the MRI was completely negative, I just told myself that I would just get on with life with the pain. Sept. to Nov. 2014 – During this time, I was beginning to do for the first time more yoga type exercises with my in home therapist. I mysteriously found it interesting that my left wrist could bend so much more when putting my hands down on the floor than several years earlier. I thought that was great. My elbow pain remained minimal. My right wrist was doing fine and actually it felt tighter. Dec. 2014 – By this month I started getting severe pain distal to my ulna bone at base of 4th-5th metatarsals of my hand over my carpal bones on the dorsal side of my wrist. By mid December, I had an evaluation by my physical therapist and he recommended further diagnostics before doing any therapy and asked that I keep my hand splinted at all times. He had concerns for the looseness he felt and the pointed sharp pain upon palpation to this part of my wrist; thereby, he recommended that I see a hand specialist. 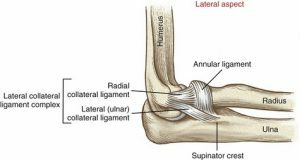 The elbow had intermittent pain below the lateral epicondyle upon loading the arm and the wrist hurt. 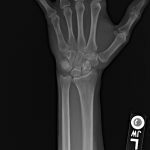 Upon reviewing the images, he walked into the room and said for me to look up Ulnar Impaction Syndrome and said my ulnar bone has positive variance causing my wrist problem. He proceeded to order an MRI to evaluate the soft tissues. He said the gold standard is to have an ulnar shortening osteotomy( cutting a few millimeters out of the ulnar bone and holding it back together with a plate and screws till new bone growth filled in) which would relieve the pressure and damaging effect to the TFCC (triangular fibrocartilage complex) I asked this doctor to examine my elbow and he didn’t find anything wrong so I turned my focus to my wrist causing all the problems. Needless to say, I walked out of that appointment in bewilderment as to why I needed such an invasive surgery for my problem. But I did proceed to study the subject thoroughly in order to be prepared to ask questions at my next followup appointment after the MRI. I worked through my frustration and fears of what the MRI would or would not show. January 29th, 2015 – MRI impression: 1. Central TFCC tear and Probable tear/small perforation at the lunotriquetral liagament. 2. 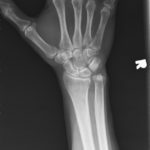 No bony changes involving the proximal lunate or distal ulna. 3. No definite articular cartilage loss. February 2015 – I had my follow up appointment. The doctor had an entirely different impression after reviewing my MRI. Since there was no damage to the bones, he further dismissed my ulnar positive variance and said I would not need an ulnar shortening osteotomy nor would he do an arthroscopic debridement of my TFCC tear. He only offered for me to come back for a cortisone shot if I wanted it, otherwise he didn’t need to see me. He said to stay splinted. He did not offer any hand therapy or any other advice. I said that I was already using splints and my thumb would go numb. He offered to send me for a custom splint at the local hand therapy office. I told him no thank you on the cortisone shot as I had one back in 2011 with a prior partner doctor. After all, I did not have excessive inflammation and I said cortisone will not heal a tear of ligaments. I proceeded to go directly to the hand therapist for a splint. 2 weeks later I had a second opinion with another orthopedic hand surgeon specialist in another city. 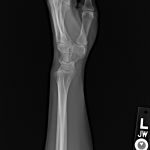 His thoughts were that if I didn’t get better, he would consider an arthroscopic surgery without ulnar shortening and said he believed there might be something to repair and not just a debridement. He also examined my elbow and didn’t find anything wrong with it and then questioned me why I was splinted. The answer was because the first doctor said I needed to be splinted. I walked out of this appointment also bewildered and confused that he would question the splinting and then just tell me to get on with life as usual and come back if I felt I wanted the arthroscopic surgery. This doctor did not offer to send me to therapy either. March 2015 – During this time I started doing extensive research about TFCC injuries. I was able to joint a Facebook group called: TFCC and Ulnar Sided Wrist Pain. The administrator of the group also has her own website entitled: Wrist Widget She is an occupational hand therapist dedicated to years of research and holds a patent on her Wrist Widget-bracing system specifically for TFCC wrist injuries. After speaking with her personally about my journey with orthopedic doctors thus far and their lack of ideas to help me, she confirmed my own plans to have a PRP injection and immobilization to help heal my tears. So I went to my pain management doctor at that time and she gave me a PRP injection with ultrasound guidance into my left wrist TFCC tears as shown in the photos(click to enlarge). After numbing my wrist with Lidocaine, she proceeded to slowly inject the concentrated platelets into a very tiny space of wrist. The pressure of the volume of fluid created horrific pain and temporary throbbing. Then I was immobilized with a sugar tong style splint going around my elbow to prevent pronation and supination of my wrist for the next 6 weeks. The compression and splint helped to ease down the injection pain which lasted less then 3 days for me. 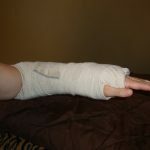 Once a week I took the splint off and did flexion/extension movements of my elbow but avoided moving my wrist. This helped to keep my elbow ROM. 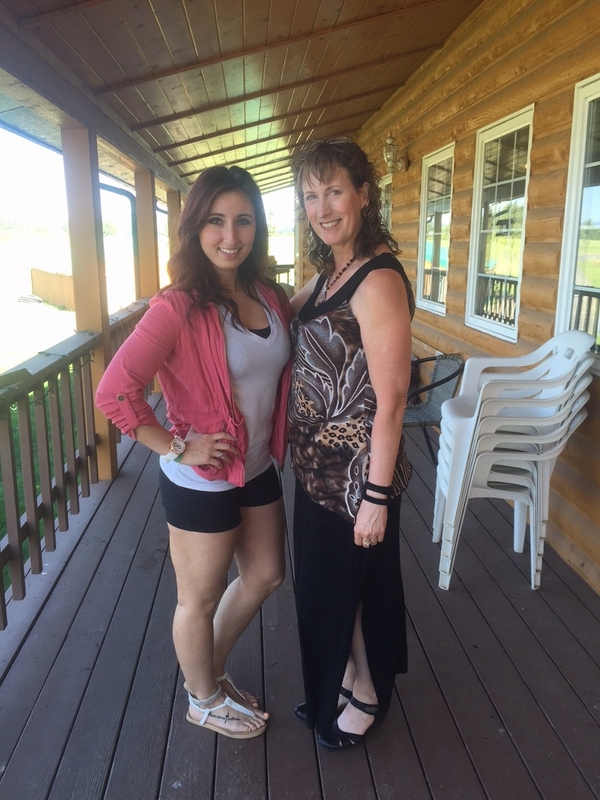 April 2015 – Towards the end of my 6 weeks of immobilization, spring was in the air. I was outside enjoying the view and having a moment with my horse. 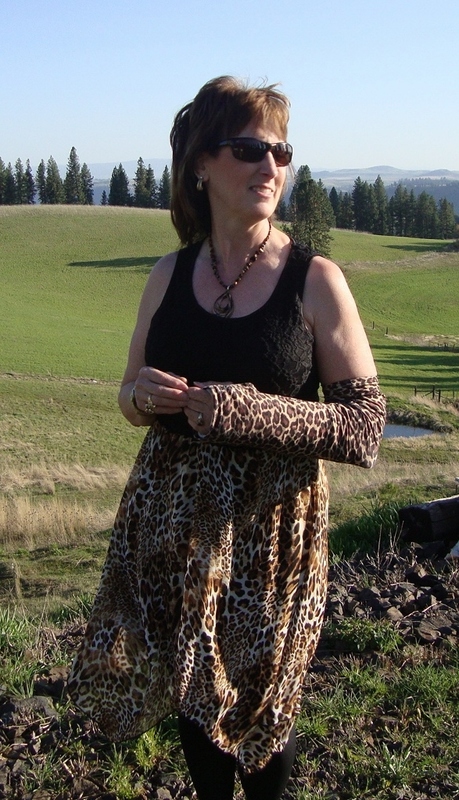 I also liked to keep my style and a favorite was my cheetah print arm cast cover by www.castcoverz.com Besides the style of the cover, it works well to keep the ace wraps clean over the splint. May 2015 – From here I started hand therapy and my therapist made a custom molded thermoplastic splint for my wrist to transition me from the full arm/elbow splint. See pictures below and click to enlarge. She also ordered me a Benik moldable neoprene splint that worked good while doing chores outside giving me an alternative splint to rotate with. By mother’s day, I was able to wear the wrist widget to support my wrist while doing dishes in lieu of my splints; however, I always stayed splinted at night. See photo with my daughter of the black wrist widget on my left wrist. The black straps also come in other colors. May-August 2015 – my hand therapy continued for 3 months. I got my normal full ROM back into my wrist. I was working with hand putty for strengthening. I enjoyed swimming but there always was an underlying sense of weakness with my elbow and radiating still into my wrist. The pain at the bend of my wrist seemed like there was improvement compared to before the PRP injection and immobilization. I was glad that I had gone through with the conservative regenerative injection and immobilization. This way no doctor could say that I hadn’t tried everything possible before considering surgery. For whatever it is worth without any radiographic training, all I see is a better spacing between my distal radius and my ulnar bone(DRUJ) and I feel I have much better alignment in my thumb joints on right hand than my left hand. Subjectively speaking, I have a wonderful right hand and wrist thus far but I don’t feel the same about my left wrist/hand. September 30th, 2015 – I felt confident to take the chart notes from my Dr. Lenoue, III, my chiropractor and therapists and go to Bellevue Bone and Joint Physicians (Seattle Vicinity) and see a highly sought after Upper Extremity Physician regarding my elbow and wrist. I was originally given his name by the hand therapist/owner of www.wristwidget.com Needless to say I was a basket case of apprehension due to so many prior experiences throughout my journey of feeling not heard or understood on how serious I was to get to the bottom/source of my problem. Well my ship came ashore with Dr. Thomas Trumble and his wonderful PA’s and medical assistants at Bellevue Bone and Joint. 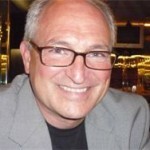 Here is a link to YouTube Channel for Dr. Trumble. Ultrasound: Axial and sagittal views of the left elbow show fluid at the radiocapitellar joint, and fluid and edema near the insertion of the Extensor Carpi Radialis Brevis tendon- (ECRB) at the lateral epicondyle. There is edema and a possible small tear of the ECRB. Fluoroscopic views of the left wrist show that pronation/supination in the lateral position is good. She is ulnar positive, minor narrowing of the thumb CMC joint. She is stable at the DRUJ with pronation/supination. 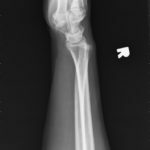 Left Elbow: Stress views under fluoroscopy show that she has a small osteophyte ulnar side. She has laxity of the LCL with varus stress, under valgus stress the MCL is stable. She is tender at the lateral epicondyle despite a negative stress test. October 2015 – I daily wore a Bregg Tscope Premier elbow brace since leaving Dr. Trumble’s office to protect my left elbow while continuing physical therapy. Towards the end of this month, I had faced a right knee injury and at that point I should have gotten a job modeling braces for Bregg Corporation as I also was now wearing a Bregg knee brace too. Fluoroscopic views of the left wrist with Omnipaque dye show leakage at the lateral side, indicating a lateral tear of the TFCC. 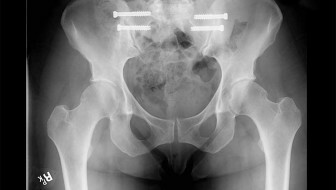 Stress views under fluoroscopy show that stress of the MCL is normal, but she opens up on the LCL stress. Views of the left elbow with Omnipaque dye show a tear with leakage at the LCL. We discussed that he could surgically re-anchor my LCL. He also stated that at a later time after I am well healed from the elbow surgery, we would plan on a wrist arthroscopy with repair of the peripheral /TFCC tear and ulnar shortening osteotomy. However, I couldn’t do anything for my elbow at that time because of my pending right foot/ankle surgery already scheduled for December 2015. His dictated diagnosis: S53.402D Unspecified sprain of left elbow, subsequent encounter and S63.512 Sprain of carpal joint of left wrist, subsequent encounter. Once I was well on my way in healing post op from my ankle surgery as discussed in its own blog, I then proceeded to make arrangements and schedule surgery for my elbow. I also had to finish up business tax preparation for the end of the year and get ready to be one handed for a little while. Dr. Trumble’s medical assistant was absolutely wonderful in handling all the pre-surgery details. For outpatient surgeries, Dr. Trumble along with his partner Orthopedic Doctors, have their own surgical center in the suburb of Issaquah, the Eastside Surgery Center. For a patient this is wonderful for cost control compared to doing surgeries at hospitals. Also the same well trained dedicated staff works with the doctor for all his surgeries giving a patient the best possible surgical care and outcome. February 11th, 2016 – Thank God again for my Dr. Sheldon, DC He examined my right arm and stated the following: An extremity subluxation was discovered and adjusted in the right elbow posterior distal humerus. All the tightness was related to the muscles being in spasm from the subluxed position of the bones. After the adjustment, the extreme pain started to calm and with some manual therapy and massage I was able to achieve at least a 50% immediate reduction in pain. I paid close attention to what would make it worse. And my close friend that was also my horse equine therapist, traveled with me for my left elbow surgery. 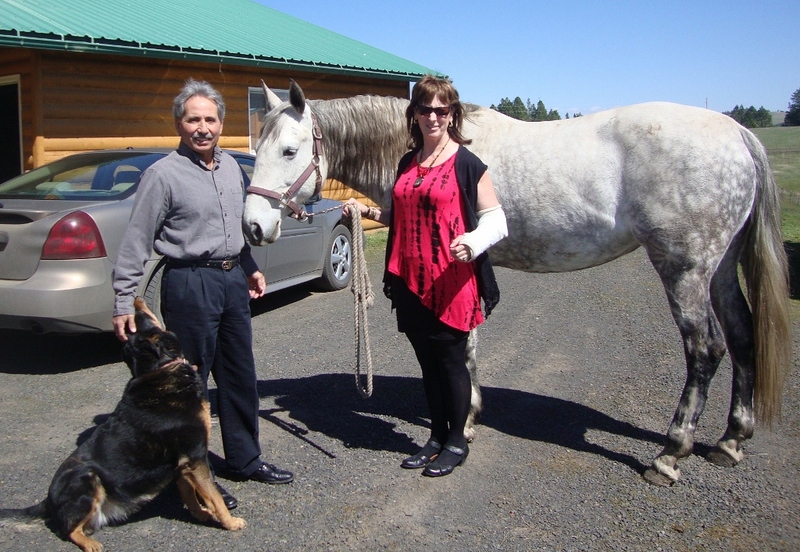 She was very gifted at feeling human soft tissue too and continued to help me keep what the chiropractor had given me. Ultrasound: Axial and sagittal views of the right lateral elbow shows an anatomic radial head, there are small voids that is consistent with a strain injury at the lateral epicondyle, despite good attachments. Views of the right medial epicondyle show a small tear. Stress views under fluoroscopy show that she is stable at the right elbow under varus and valgus stresses. I was glad he took the time to address my right elbow. Then we went on to discuss the surgery for my left elbow. At this point his focused examination revealed the following: Positive Tinel’s at left elbow. Positive Valgus stress test. Positive Varus stress test with guarding. In certain positions, she does not feel connected at the left wrist. She has no real pain at the lateral epidoncylitis stress test, but had some left wrist pain with a medial epicondylitis stress test. Reanchoring the LCL at the left elbow using one of three options depending on severity as follows: 1. Arthrex pushlock anchors to reattach LCL insertion. 2. Use of Arthrex pushlock anchors, forked swivel locks and Arthrex Fiber Tape. 3. Use of Arthrex pushlock anchors, forked swivel locks with Arthrex FiberTape and Gracilis allograft. 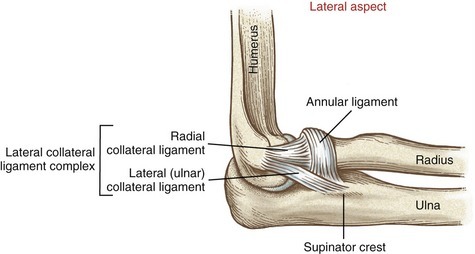 Possible tightening of the annular ligament. Possible PRP injection at the right lateral epicondyle at the patient’s request. I had already discussed with Dr. Trumble my concerns and why I didn’t want any harvesting of a Palmaris tendon off of my good arm to use as a graft and he agreed to use an allograft instead if necessary. We also discussed that he would put some more PRP into my left wrist also during the surgery in hopes to buy me more time in some healing for the TFCC tears since my arm was going to be immobilized anyhow. The PRP services were not covered by my insurance and I was responsible to take care of those specific costs directly with the PRP representative. However, Dr. Trumble was very happy to do the injections with my surgery and to work with my rep. Julian that had serviced my foot doctor many times before. Summary: I close this blog being very thankful that I did find a doctor to not only believe in my problems with my left wrist and elbow, but that he was also willing to do something to help me when 2 years had already gone by with symptoms that were not resolving with chiropractic, physical and/or hand therapy. I was so happy that Dr. Trumble sincerely said to me:” I like to listen to my patients” My reply was:” May I shake your hand and thank you so very much. Now if only other surgeons could follow your example and do what you do, other patients would be better off!” I’m always thinking of what other patients experience and the heartache they share with me when they contact me because of reading these blogs. An underlying theme is always: “my doctor doesn’t listen to me or believe I have a problem” Not every patient is a pill seeker. I know the bad apples spoil the bunch. Most patients that call me, truly want help in resolving their orthopedic problem if at all possible and they do not want to live on pain pills. They want their life back if a surgery could really help them. That is what keeps me going in writing these blogs to raise awareness and give hope. My elbow problem may have been minor compared to major elbow trauma and dislocation. However, the full use of my arm to do my daily life is a priority. The biggest problem with my left arm was the inability to load the joint in an extended position which means I couldn’t carry or lift much. I couldn’t put my arm down on ground and do any type of push up activity or yoga positions without instability feelings and then more tension in the supporting attaching muscles. I am not the type of person to put my head in the sand and pretend the problem is going away. Subtle laxity with minor tears can only lead to more joint problems. I want to do right in preventing damage to any joint because the consequences of joint damage become much more severe. Patient to patient advice: Do not give up believing in yourself and seek out diagnostics that show a joint in live motion. My experiences have taught me that MRI’s don’t show everything. Ultrasound is a wonderful diagnostic tool. 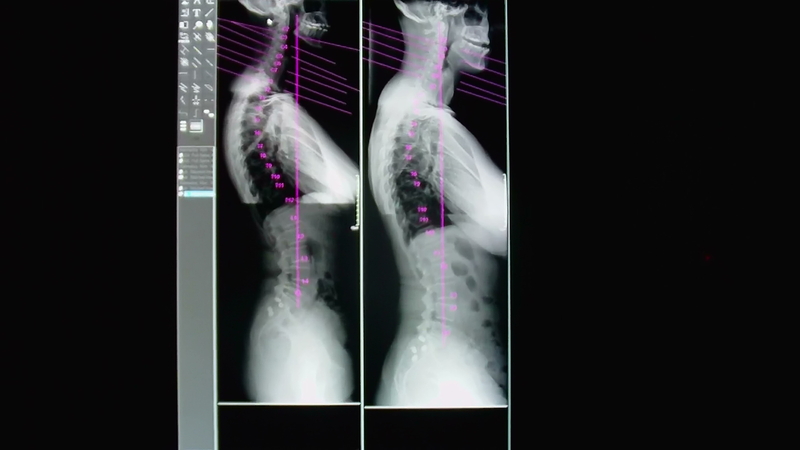 Stress fluoroscopy with and without dye is another wonderful diagnostic tool: Fluoroscopy is a study of moving body structures–similar to an X-ray “movie.” A continuous X-ray beam is passed through the body part being examined. The beam is transmitted to a TV-like monitor so that the body part and its motion can be seen in detail. I strongly suggest consideration of Prolotherapy into any ligament strains along with PRP injections to help heal tendons/liagments along with a trial of immobilization. Then controlled physical/hand therapy to progress back to full strength if possible. February 16th , 2016 – Day of surgery. Please Stay tuned for the day of my surgery details and photos along with my journey through the recovery process. These blogs do take a lot of time and energy and I am behind. The reason is that I’m actively doing physical therapy in strengthening my core with the details of my walking gait as I’m still only 6 months post my last foot and ankle surgery. I will have more blogs on those subjects one day soon. Along with that I am still actively in the diagnostic process of dealing with my left shoulder girdle problems as mentioned towards the end of the last blog. I continue to learn new things everyday, so I guess I will have plenty more to blog about. Oh for joy! I’d rather be out walking than sitting here and typing. But the still small voice prompts me to be concerned about others in sharing my stories and I am believing one day for completion or resolve to the journey so I don’t have to write anymore. A special thank you to all my website subscribers, Facebook page followers and my YouTube Channel Subscribers.